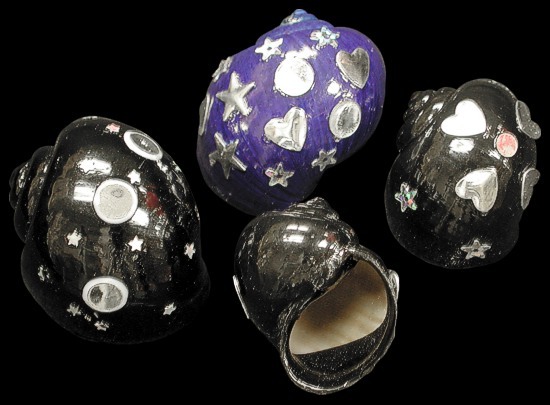 Our painted hermit crab shells are of the highest quality. 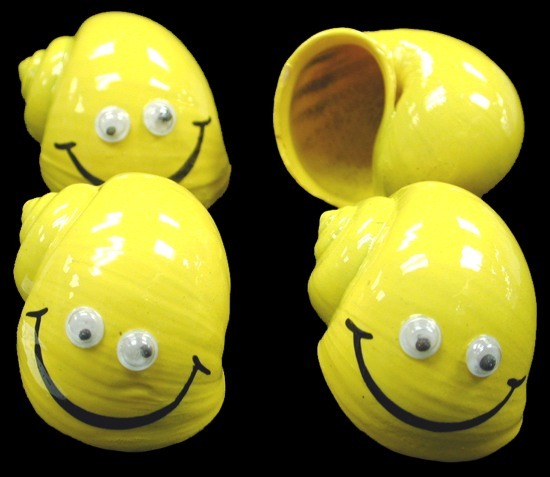 What type of hermit crab shells do we recommend? Offer your crab a variety of shells and not always painted and sealed. 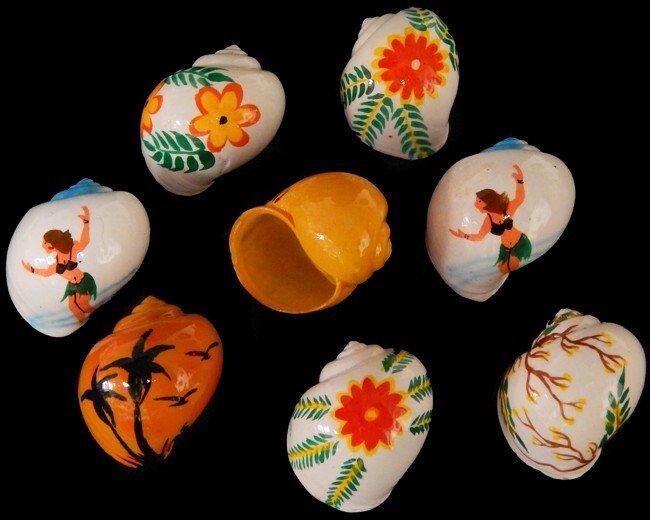 Choose a few of our natural shells. 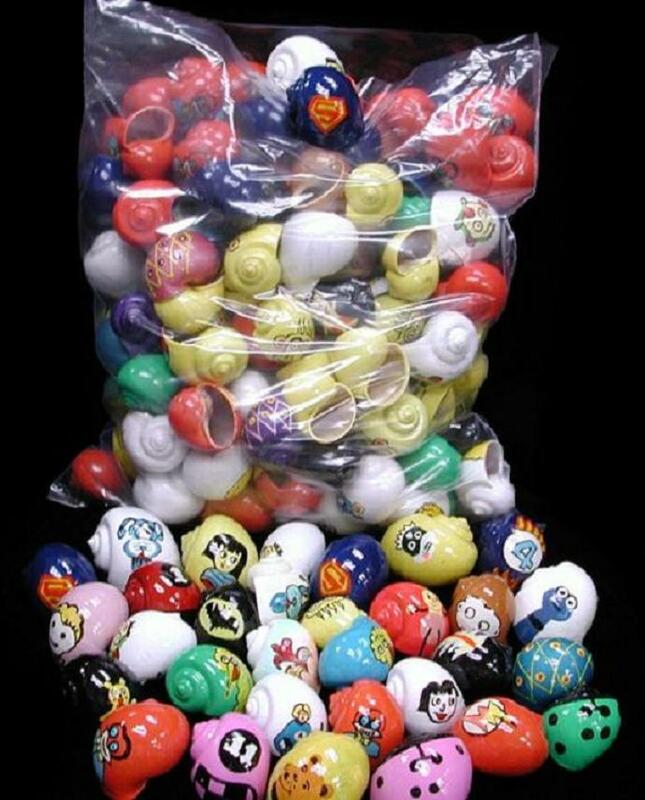 The natural turbo, shark and whales eye are some of the the most popular among hermit crab keepers. Size ranges from about 1/2 inch to 1 1/2 inch. 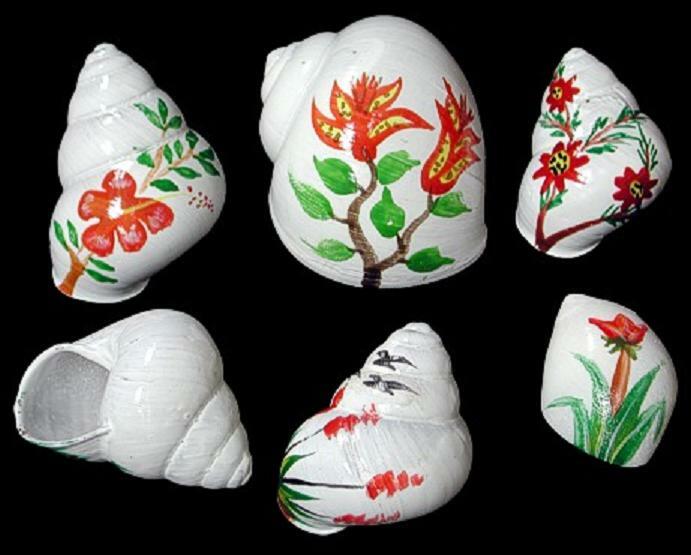 Hand Painted shells. They range from 1 to 2 inches. All carefully hand painted. 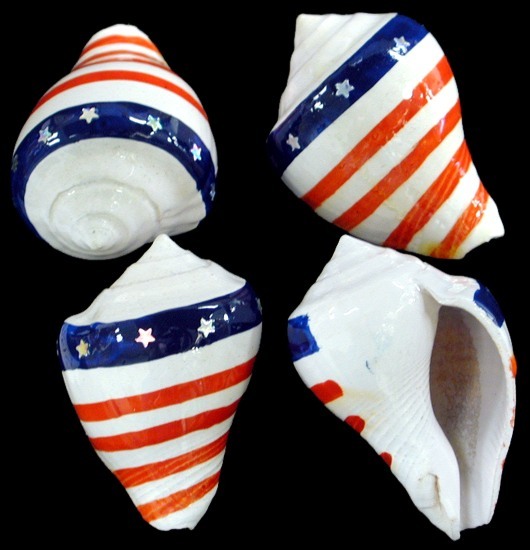 FLAGS ARE PAINTED ON SHELLS BUT MOST HAVE A DIFFERENT DESIGN THAT IS SHOWN IN THE PICTURE. MOST HAVE A COMPLETE FLAG RATHER THAN A RING OF STARS AND STRIPES. Curently, I do not have a picture of the complete painted flag. Sizes refer to shell size. Shell opening is approximately 1 inch. Opening of shell is one inch or less. The shell size is 1 to 2 1/2 inches. The shell opening averages between 1 and 1 1/2 inch. 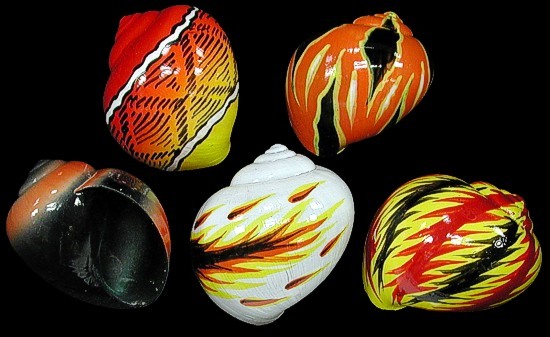 All Shells are sold assorted color and design. 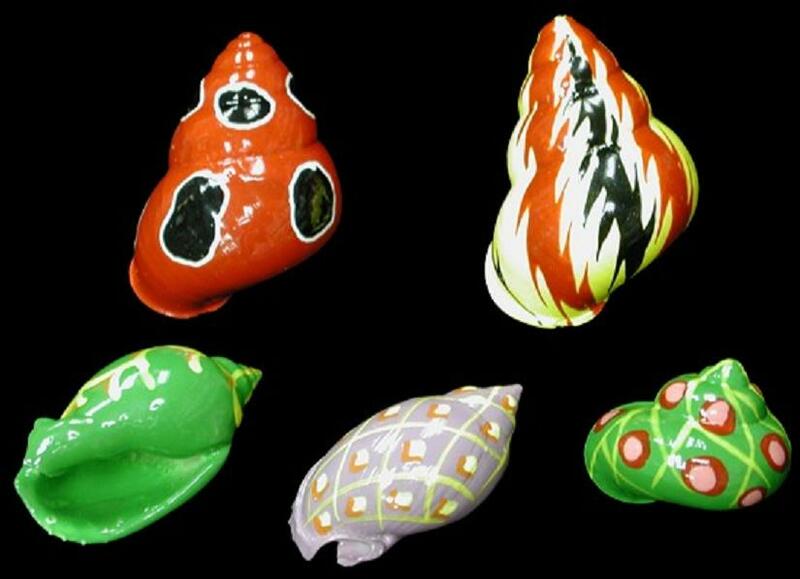 Shell size ranges from 1/2 to 2 inches. 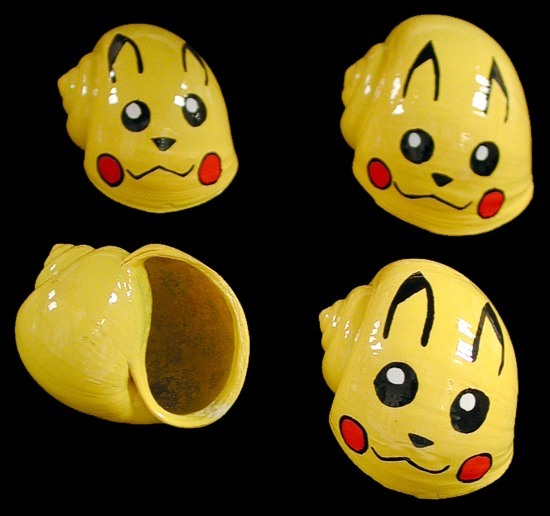 The smallest shell opening is about 1/2 inch. 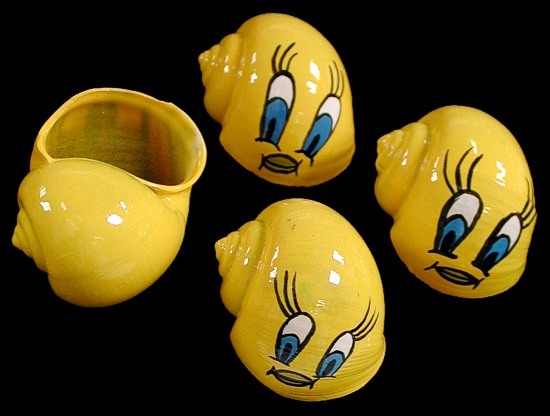 The average shell opening is 1 to 1 1/2 inches.